This fun energizer gets people up and moving in a mad dash to grab an available chair. It works well to increase the energy in the room, and it could also be used to randomly sort participants into new groups. 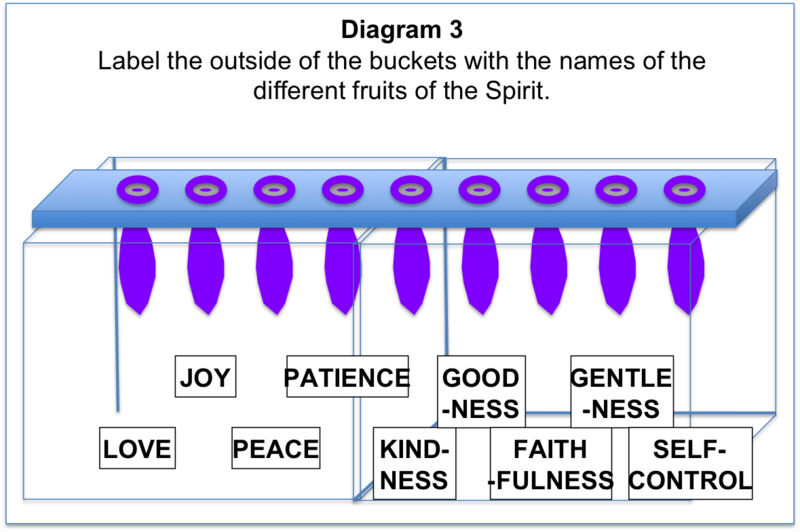 Use the love, joy, peace, patience, kindness, goodness, faithfulness, gentleness and self-control instead of normal fruits to reinforce a message on the Fruits of the Spirit. Have all the participants sit in a circle of chairs. If necessary, they should bring their chairs with them from the tables back to an open area. Once all the fruits have been named, go around the rest of the participants, assigning them a fruit in the same order, e.g., apple, orange, kiwi, mango. Make sure all participants are assigned one of the four fruits. Then tell participants that you are going to announce a fruit, and all the people who were assigned that fruit have to stand up and switch chairs. Tell them that while they are up, you will take one of these chairs out of the circle. The person that is left standing must then announce a new fruit. At any time, a person in the middle can say “Fruit Salad,” and it will force everyone to switch chairs. Answer any questions participants might have. Then, begin a round. Play several rounds. If you are using the activity to randomly sort participants, have them number off the number of groups you want after the final round. Then have all “ones” get together, all “twos” get together, and so on. Spread the soil around the heart-shaped container. 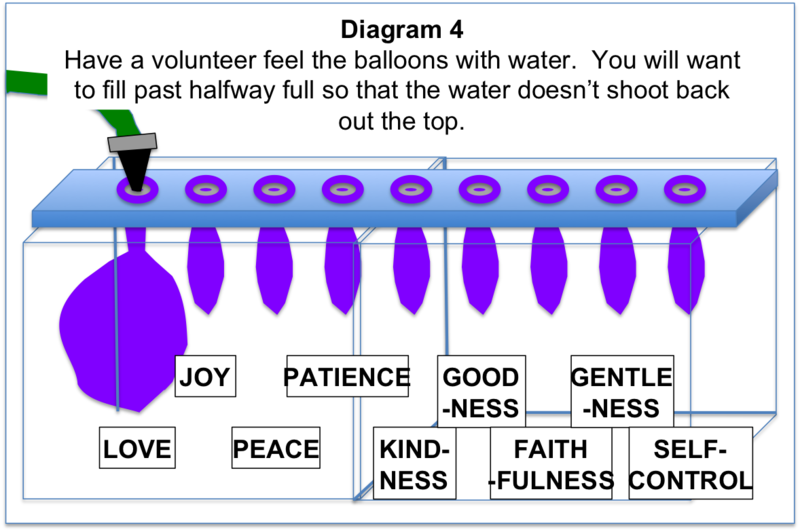 Fill the watering can with water, and have it ready nearby the teaching area. Put the flowers and weeds somewhere where they can’t be seen and where you will be able to plant them later without being seen. This object lesson teaches about how God brings good things out of bad and uses the metaphor of turning lemons into lemonade. Several cow patties if you can find them. 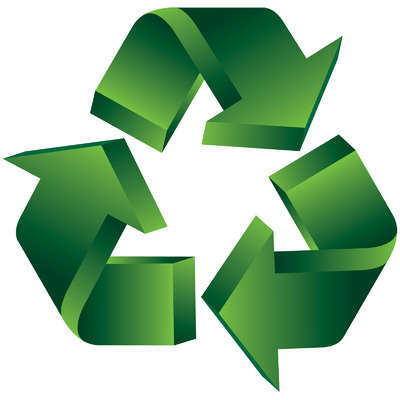 If you can’t, use a bag of fertilizer and just explain that many fertilizers include animal waste. Lay out materials for the lesson. “He can use those bad things to create fruit in our lives like the fruit He talks about in the Bible.” (Have volunteer read Galatians 5:22). If we trust Him and obey, God makes bad things go OUR way! This object lesson teaches that you need to stay connected to Jesus in order to have the power to live a godly life and produce the fruit of the Spirit. Connect the hose to the water spigot. Connect the quick connect adapter (the one with the automatic stopper) to the end of the hose, and turn on the water. 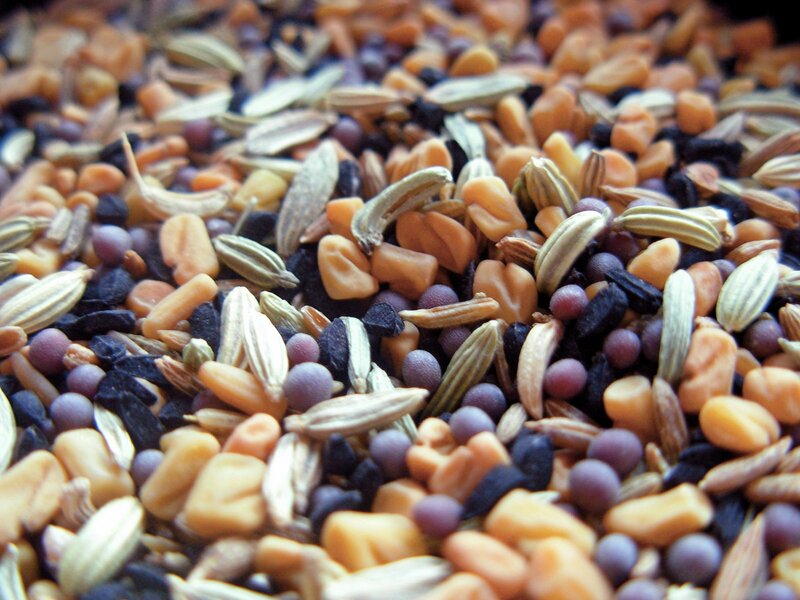 Use a steady stream of water but not full force – maybe about 1/4-1/2 turn. Connect the short hose to the quick connect adapter at the end of the longer hose. Connect the other quick connect adapter to the end of the short hose, and screw on the water nozzle. Run the hose segments and the nozzle into the teaching area. Make a large sign that says, “DISOBEDIENCE,” and put it on the lanyard/twine so that someone can wear it around their neck. Ask a volunteer to be your “DISOBEDIENCE” volunteer and to be ready when you call them. Give him/her the sign to wear when the time is right. Put a washer in the opening of each balloon. 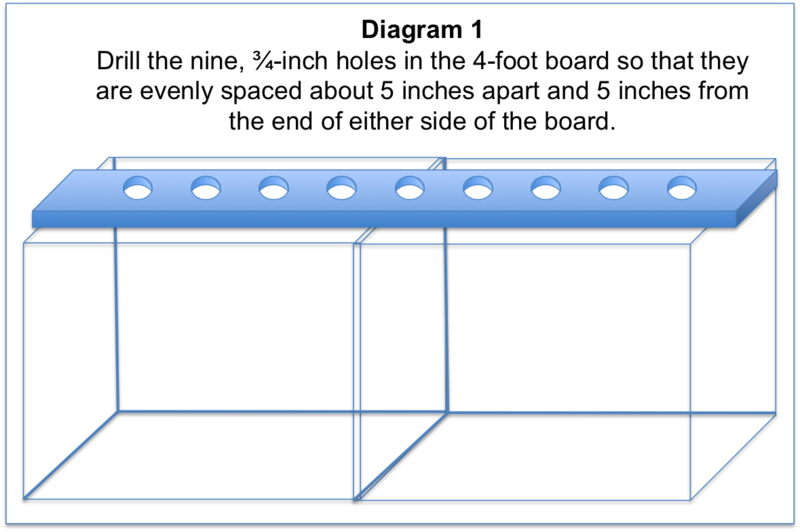 Push each balloon through one of the nine holes in your board. 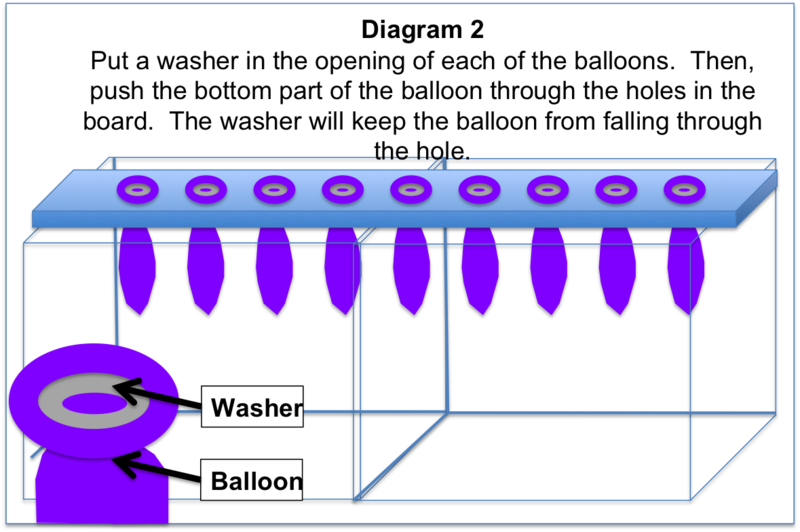 The opening of the balloon and the washer should be on top of the hole with the rest of the balloon below the board. Put the board with the balloons across the clear, plastic tub so that the balloons hang down into the tub. Cut out nine, small rectangles from the posterboard (each about 4 in long and 2 in tall). Write the nine fruits of the Spirit (Love, Joy, Peace, Patience, Kindness, Goodness, Faithfulness, Gentleness, Self-Control) on these. Tape the signs to the bottom of the tub on the outside, facing the audience. Each sign should be in front of a different balloon.